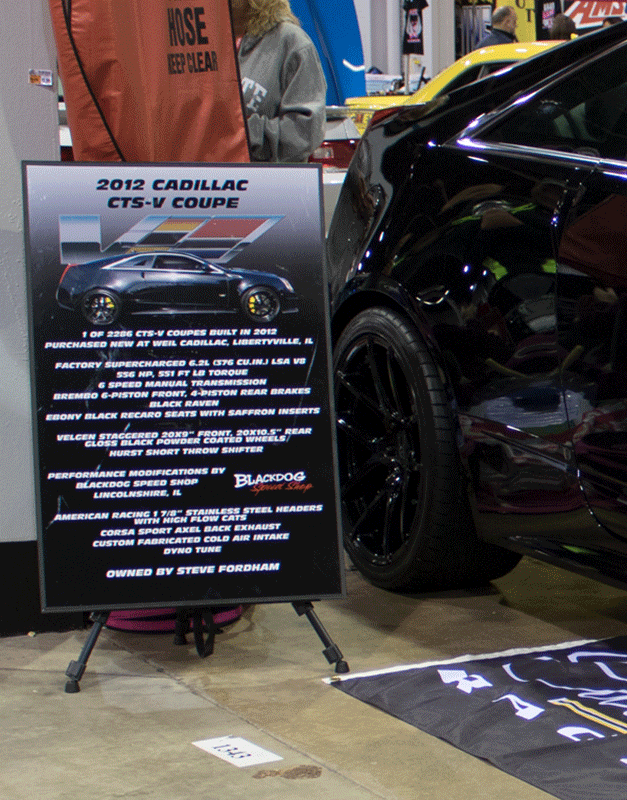 The Concours Car Show Display Stand is the ultimate in car show signs. The Concours stands at 4ft tall and is perfect for any big show like World of Wheels or Muscle Car & Corvette Nationals. The Concours comes in a brushed silver finish, and holds a 11×17 display that features your car. The base of The Concours solid steel so you can park a tire on it to keep the sign put! The 2 part design allows for easy assembly and can be set up in a matter of seconds! Please allow 3-5 business days for assembly and shipping.